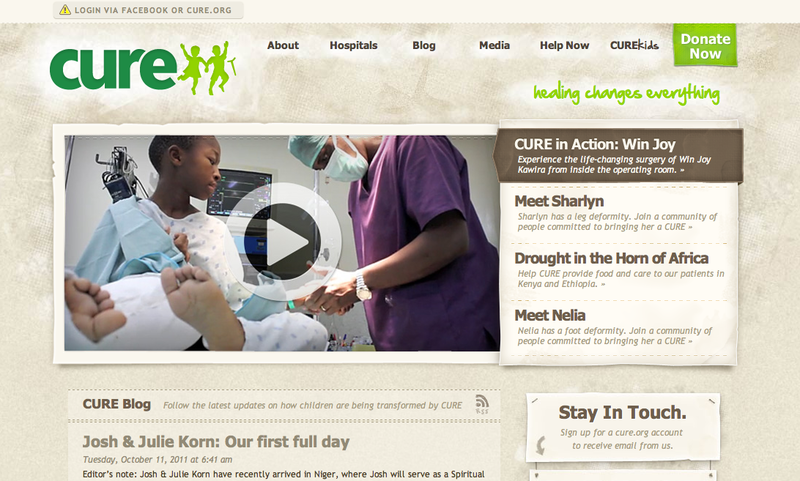 Site name and description: Cure International is a global non-profit supporting children with disabilities in the developing world through medical and spiritual care. Their site showcases their work around the world, with clear opportunities to give financial support. There is a strong emphasis on compelling, multimedia patient stories — these form a central element of the home page. Design appears to be focused on stirring visitors emotions and encouraging them to make a financial donation. 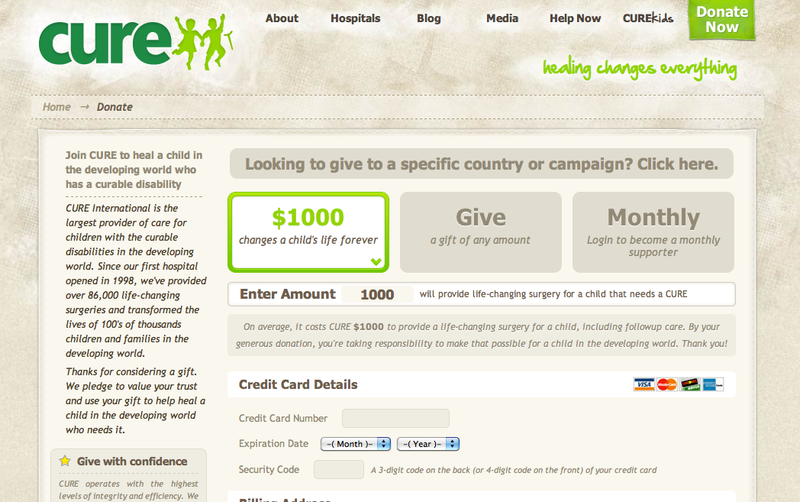 Clear call to action, “Donate Now” is visible in a static place on each page. Donors of all levels, particularly those who are drawn to supporting work in the developing world and children, as well as potential volunteers. This is a self-described Christian organization, so the audience is those with similar beliefs or backgrounds. The goal of this site is to raise money for their international work, through sharing compelling stories about cute kids and how they have benefited from programs and services. The site features a WordPress blog, as well as “share” functions through Facebook, Twitter and Google+. They also have links to the organizations Facebook, Twitter, YouTube and Flickr sites. Static message at the top of each page prompts users login with their Facebook credentials. 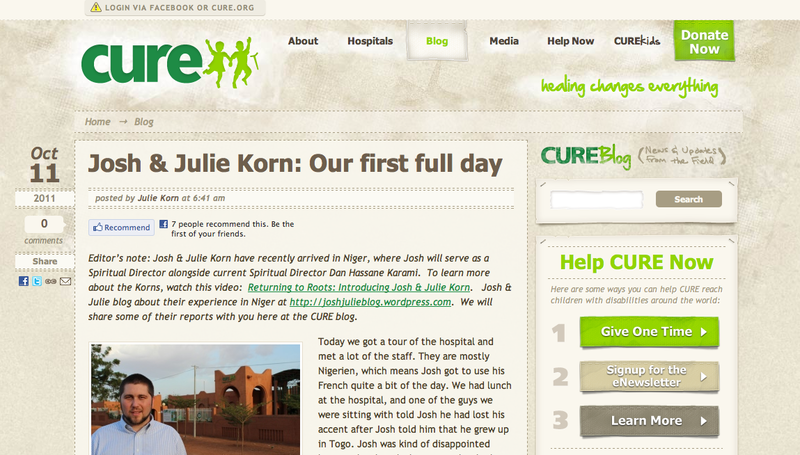 WordPress based site, including an integrated blog, secure donation form.